As twelve-year-old Marlee starts middle school in 1958 Little Rock, it feels like her whole world is falling apart. Until she meets Liz, the new girl at school. Liz is everything Marlee wishes she could be: she's brave, brash and always knows the right thing to say. But when Liz leaves school without even a good-bye, the rumor is that Liz was caught passing for white. Marlee decides that doesn't matter. She just wants her friend back. 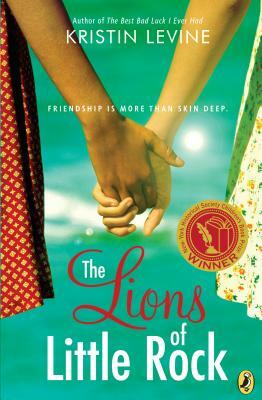 And to stay friends, Marlee and Liz are even willing to take on segregation and the dangers their friendship could bring to both their families. Kristin Levine (www.kristinlevine.com) received her BA in German from Swarthmore College and an MFA in film from American University. She spent a year in Vienna, Austria, working as an au pair, and has taught screenwriting at American University. Currently, she lives in Alexandria, Virginia, with her two daughters. She is the author of the critically acclaimed The Best Luck I Ever Had, The Lions of Little Rock, and The Paper Cowboy. Follow her on Twitter @KristinSLevine.